Thermal Springs & Wellness Resort Tauern SPA Kaprun Salzburg. 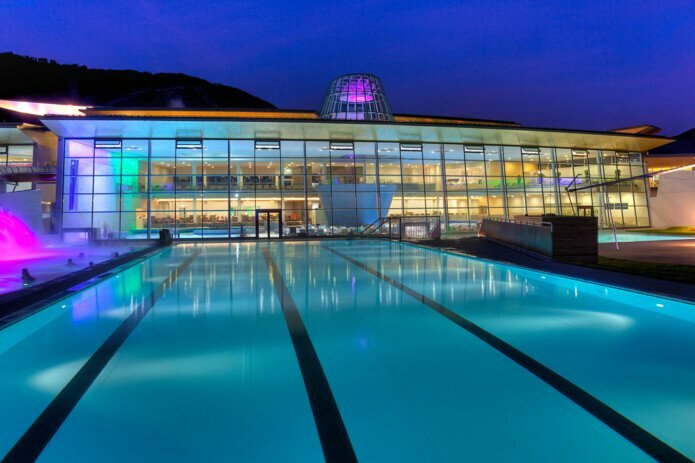 Built a few years ago and a unique contrast to sport, action and activity in the mountains around Kaprun - the Thermal Springs & Wellness Resort TAUERN SPA. There is nothing more relaxing than regenerating in warm water or hot air after a long day of skiing in the Kitzsteinhorn Glacier ski resort. Carving beautiful lines in the powder at the Kitzsteinhorn one minute, relaxing tired muscles in the outdoor saltwater pool of the TAUERN SPA the next. Looking up the mountain where, if you look closely enough, you can still see the tracks you left in the powder snow. You enjoyed the view into the valley almost throughout the entire hiking tour but your attention was always drawn to the building of the TAUERN SPA. This distinctive structure in the valley can be seen from almost every mountain around Kaprun. You change perspective after you have conquered the summit. You unwind in the hot sauna and look through the large panorama window to the very mountains you climbed with great efforts just a few minutes ago. A beautiful feeling. Sporty activity and deep relaxation go hand in hand in Kaprun. 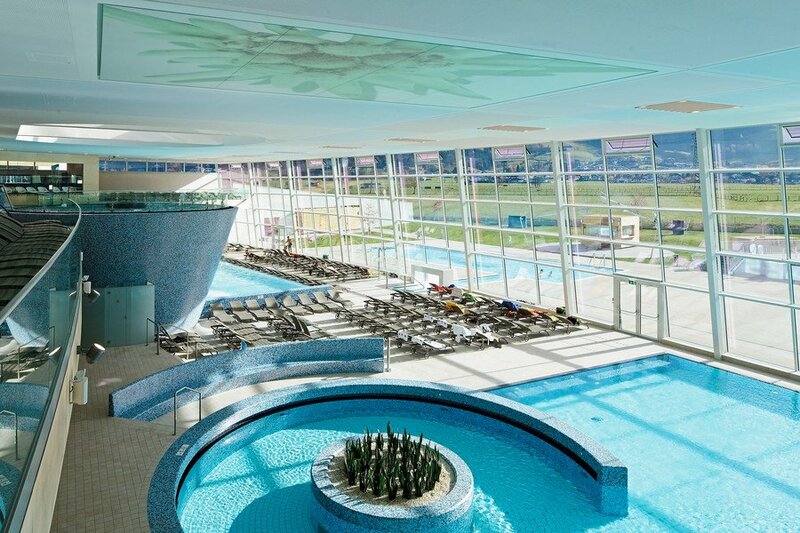 After sport and activity, you get what you need at the TAUERN SPA after days full of activity in Zell am See-Kaprun. "Size matters" - especially when everyone had the same idea that a visit to the Tauern SPA would be great. Stretching across 20.000 m2, the spa, aqua & sauna world never feels overcrowded. 13 saunas and 12 pools are a clear sign that everyone will find their individual chill-out place. With a water surface of 730 m2, the indoor aqua world is perfect for enjoying pleasant evenings. The outdoor saltwater pool offers 810 m2, including activity pool and 25-m sports pool. Immerse yourself in the saltwater pool and relax with music under water. 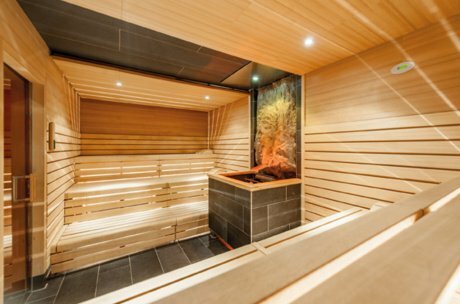 Sweat-inducing is the sauna world of the TAUERN SPA. Tired muscles relax and you will feel rejuvenated in no time. Finnish sauna, backer's oven sauna, herbal bath, organic sauna or saltwater laconicum invite you to unwind. The garden and the spacious chill-out zones offer you just the relaxation you are looking for after a hot aufguss. You don't need to be active at the TAUERN SPA, let others pamper you. The Alpin Vital SPA & Kosmetik Areal boasts over 17 treatment rooms for a variety of body and facial treatments. With massages, herbal massages, wraps, nourishing baths or beauty treatments, you will easily forget time. Beauty is not just for the ladies. Special programmes and treatments for men and children bring a healthy glow to your entire family. You will definitely look like you have been on a holiday! Fancy a bit of time for two? You and your partner can spend time as a couple in the private spa. Relaxation is so much better together. You can do more than relax at the TAUERN SPA. 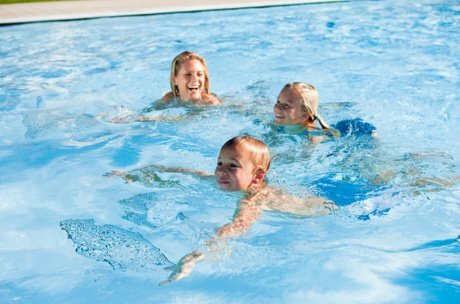 The refreshing waters of the 25-m sports pool invite to swim a few rounds and you will manage your training goal in no time. The fitness area offers a wide range of weight training equipment and cardio machines for a good indoor workout. We are also happy to tell you about the daily changing programme of fitness courses, weight and stamina training, aqua gym, etc. Culinary delights are a must at a place where you relax, unwind and are sporty active. Several restaurants treat you and your palate to specialities. The Hotelrestaurant Lichtblick, the Thermenrestaurant Genussallee or the Saunabistro Heißkalt serve regional specialities or light, healthy cuisine matching your wellness experience perfectly. The team of the Hotelbar Gipfelstürmer or the Kitzblick outdoor umbrella bar treat you to some very special culinary delights. Not only the adults look forward to their time at the Thermal Springs & Wellnessresort TAUERN SPA. In the "Kidstein" children's area, there is a lot to experience and explore for small explorers. When the water breaks down wildly foaming over the slide, the choice for a slide is difficult - there are three of them. 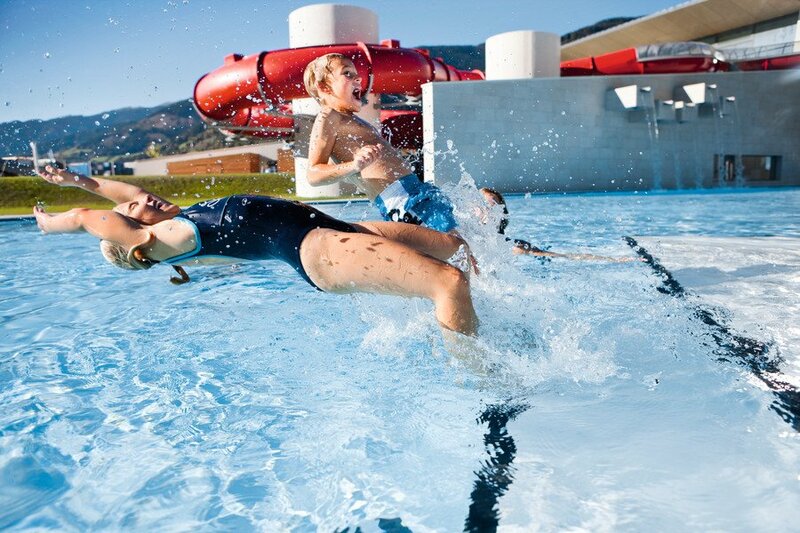 In the outdoor water park, there is a play pool, a baby pool and a youth pool for the teenager. 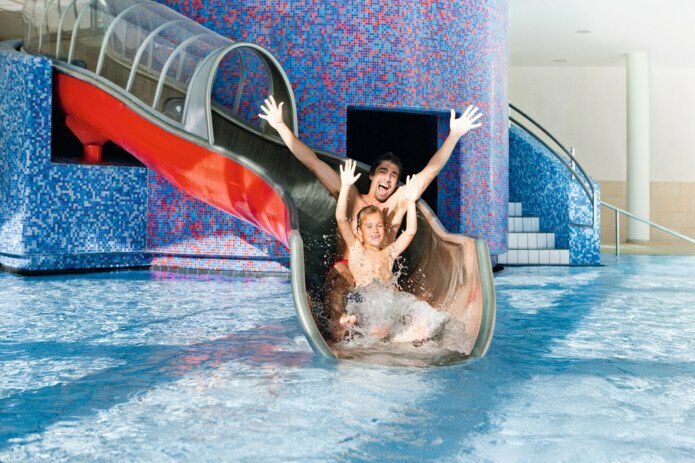 Even in the interior of the TAUERN SPA it is never boring for children. It does'nt matter if they are in the active area, if they are playing exciting matches at the volleyball court or if they are climbing up to the top of the climbing wall, fun and action are guaranteed. To ensure that parents can really relax on holiday, the Thermal Springs & Wellnessresort TAUERN SPA offers professional child care for children from three years. 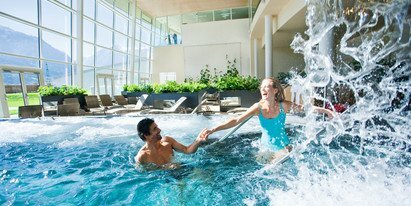 And, inspired by the beautiful world of adventure and relaxation of the Thermal Springs and Wellness Resort TAUERNSPA Zell am See-Kaprun? Not only can you visit this wellness centre, you can even stay there at the Thermenhotel TAUERN SPA. 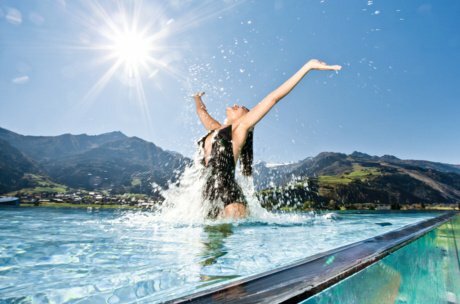 If you are looking for an exclusive holiday experience in the Zell am See-Kaprun mountain and sport region, then is the Thermenhotel Tauern SPA the right place for you. Beautiful rooms, fantastic cuisine and a private spa area leave nothing to be desired. Book your next holiday for unforgettable days in Zell am See-Kaprun now. 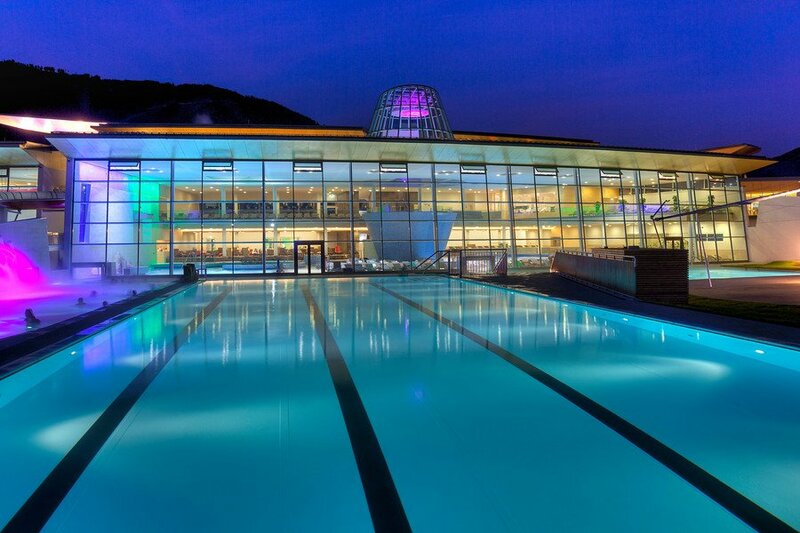 The TAUERN SPA is linked to many partner companies; even if you book alternative accommodation in the region, you still benefit from many advantages and discounted admission to the Thermal Springs &Wellness Resort TAUERN SPA Kaprun. If you have any questions or still need a few tips for your holiday, please contact us directly. Time for relaxation, time for a holiday in Zell am See-Kaprun!